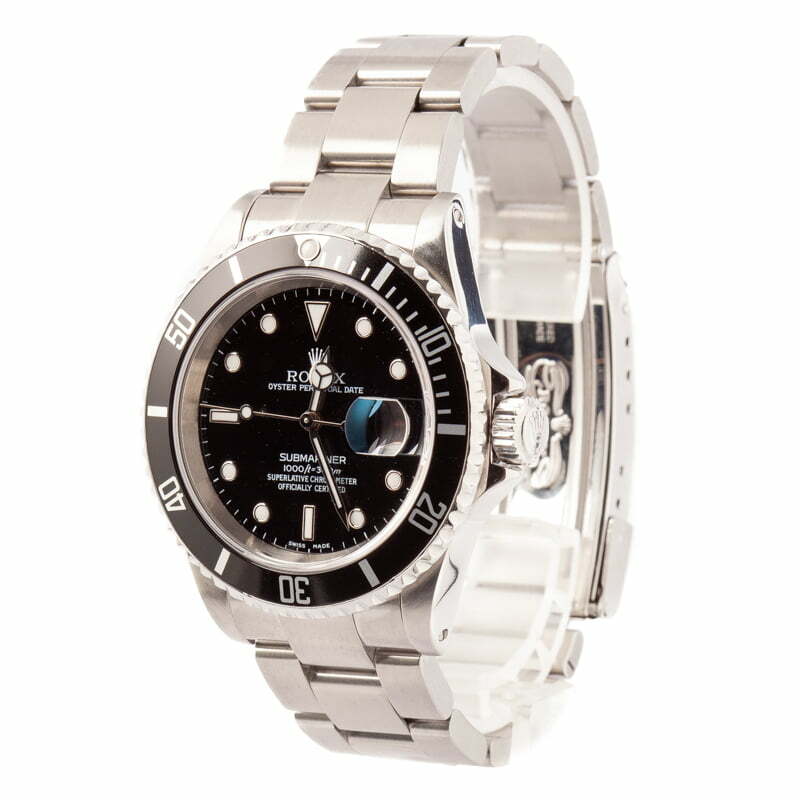 This pre-owned Rolex watch is in overall excellent pre-owned condition with only minor surface wear and slight stretch to the bracelet. 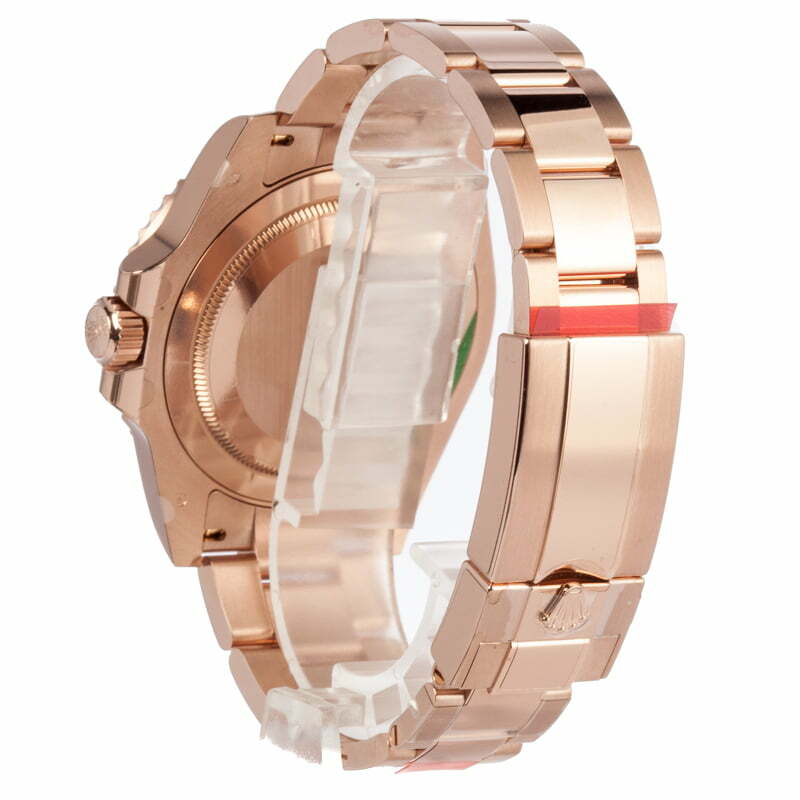 The first Oyster case was developed in 1926, revolutionizing the way people kept time by protecting the movement within from moisture and dust. Nearly a century later, the Oyster case has seen multiple upgrades, allowing it to withstand depths of up to an incredible 12,800 feet. 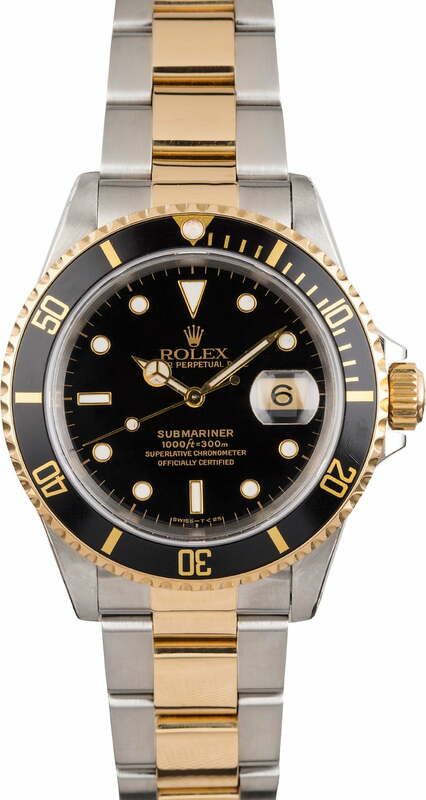 The Submariner came to market at Basel Watch Fair in 1954 and initially offered a depth rating of up to 100 meters. Today, the Submariner offers guaranteed waterproofness up to 300 meters, or 1,000 feet. The ref. 16613 is a popular two-tone variation of the line that also boasts a scratch-resistant sapphire crystal, improved luminous material on the dial, a two-tone finish, and a unidirectional bezel. Sophisticated yet tough, preowned Rolex collectors of all professions strive to add the ref. 16613 to their watch boxes.